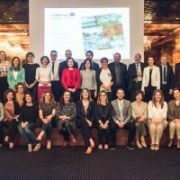 On 10 May 2017, the ADRION Monitoring Committee approved under conditions 35 projects in Ioannina (GREECE), which have passed the quality assessment of the first call for proposals. The selected projects shall be now subject to further checks before the final approval. 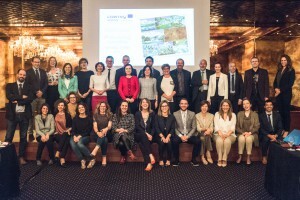 Under priority axis 1 – Innovative and Smart Region – out of 67 eligible applications, 14 projects have been approved under conditions, covering topics of blue growth, regional innovation systems in tourism and agro-food, clean environmental technologies and innovative products and processes and the development of social enterprises in the field of environmental protection and tourism. Under priority axis 2 – Sustainable Region – out of 111 eligible applications, 11 projects have been approved under conditions. With regard to the promotion of the sustainable valorisation and preservation of natural and cultural heritage, the selected projects address the implementation of policies aiming at diversifying touristic products; the valorisation of cultural, traditional and environmental heritage; the creation of an Adriatic-Ionian brand; the improvement of water efficiency in ADRION coastal areas; and the reduction of the negative impact of tourism activities on natural heritage. As far as the promotion of transnational capacity to tackle environmental vulnerability is concerned, 4 projects have been approved under conditions dealing with the harmonization of protocols and guidelines for the monitoring of contaminants in the marine environment; the creation of a common platform dealing with the Coastal Zone Management and Maritime Spatial Planning; the improvement of the early warning system and sea storms forecasting; and the safeguard of ecosystems by establishing a transnational network among protected areas. Finally, under priority axis 3 – Connected Region – out of 31 eligible projects, 10 projects have been approved under conditions. Projects tackle the promotion of intermodal transport; the improvement of motorways of the sea through the reduction of the administrative bottlenecks of the freight transport on the TEN -T corridor; the creation of a framework to support the implementation of technical systems for the distribution and supply of LNG (Liquefied Natural Gas) in port areas; the promotion of common standards for electric transport systems; the improvement of passengers mobility by boosting the intermodal connections between ports and airports and the rail transport connections. ADRION will offer the grant only to those selected applications, which will positively pass the additional checks (i.e. : state aid, anti-fraud, financial capacity of private partners) and fulfilled the conditions for improvement. All lead applicants will be notified via ADRION eMS soon. We kindly ask the lead applicants not to contact the Joint Secretariat until they receive the notification.